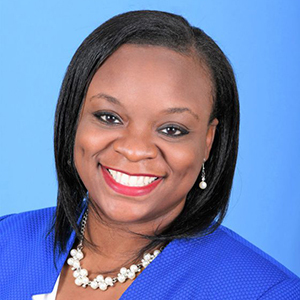 Dr. Carlitta Moore, Assistant Athletics Director for Sports Medicine and Head Athletic Trainer at Fayetteville State University (FSU), recently received notification from the American Association of Blacks in Higher Education (AABHE) that her dissertation, “University Administrators’ Perceptions of Equity is Sports, Title IX Policies, and Student Athletes with Diverse Sexual Identities” received the honor of being recognized. The AABHE will honor Moore with a cash award, one-year complimentary membership to AABHE, and complimentary registration for the 2019 Annual Conference in Indianapolis, Indiana March 24-27, 2019. Dr. Moore's dissertation committee consisted of Dr. Linda Wilson-Jones (dissertation chair), Dr. Noran Moffett, Dr. Paris Jones, and Dr. Kristine Kelley. AABHE is an outgrowth of the Black Caucus, which was a component of the former American Association of Higher Education (AAHE). As such, AABHE has a rich history of representing African Americans in higher education on national and international levels. The Black Caucus created the Summit for Blacks in Higher Education. Over the years, AABHE has been involved in numerous initiatives such as addressing the pipeline of Black faculty and staff in higher education, bringing issues pertinent to Black faculty and staff to the attention of the larger academic community and recognizing African American achievements and accomplishments to higher education.